Vieux Fort shooting victim, Miguel Soumere, has been charged with murder, according to law enforcement officials. Soumere, alias ‘MVP’, had been hospitalised after a gunman shot him in the head last month, resulting in the victim losing vision in one eye, it was reported. His cousin, Irvin Julian, was charged with the attempt to kill him. The incident occurred at Bruceville, Vieux Fort. Law enforcement officials told St Lucia Times that Soumere, who has since been released from hospital, was slapped with the murder charge Thursday. 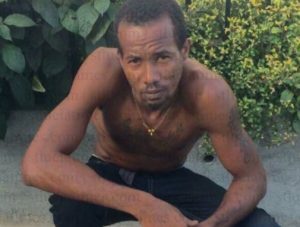 Soumere is accused in the fatal shooting of Fish Cleaner, Melvin Romanus George, 30, at the Vieux Fort Fisheries Complex on Friday, January 25, 2019. George was shot in the back of the head by a lone gunman wearing a ‘hoodie’ and died on the spot. Law enforcement authorities had said that they suspected that the killing of George and the attempted murder of Soumere were linked. Good for url .. kill each other. So one cousin, accused of attempted murder, will meet his other cousin, the partially blind accused murderer, in jail where they will try to eliminate each other! Such an unusual twist of fate for one family with two gangsters. What do we know about the one that was murdered in first place Melvin George ? how does he relate to the cousins ? Why was he killed by one of the cousins? The man was trying to do the job for the police, but it went straight in d i, but d police still have him! HERMIN, what is your advice for d other 1?